Eva Snitkin introduces the popular knitting technique that will take your projects to the next level. 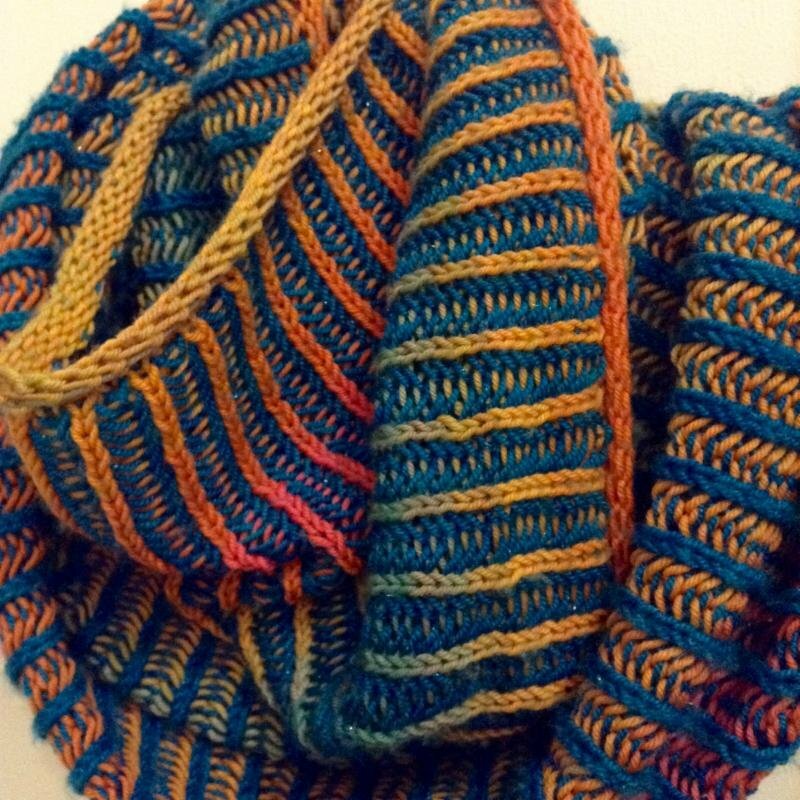 If you've ever admired any of Stephen West's brioche knit projects and thought "I could never do that", this is the class for you! Eva will lead the class through the basics of brioche knitting with one or two colors all while creating a cowl to keep you warm. Eva Snitkin will share her brioche expertise, as well as her gorgeous samples of what can be made with this popular technique. In order to get everyone in full swing with the brioche technique, it's helpful to do a little homework before class. With your chosen yarn, please cast on and join in the round. Please knit 2-3 rounds in K1, P1 rib. This will give you a nice foundation with which to start your brioche stitches. Worsted Weight Yarn: Cast on 80 stitches on US8 24" circular needles. Chunky Weight Yarn: Cast on 70 stitches on US11 24" circular needles. Bulky Weight Yarn: Cast on 60 stitches on US15 circular needles.